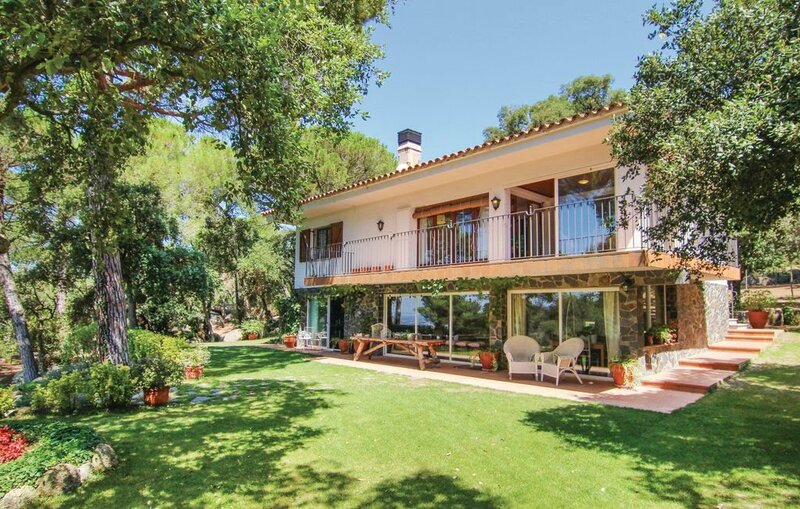 This charming 8 person villa is located in the village of Romanyà de la Selva in Catalonia, 6 miles from the nearest beach. It boasts a large garden with a covered terrace where guests can enjoy an alfresco meal. This fantastic holiday home in the middle of the mountains is surrounded by its large natural garden and forest area. It offers the ideal retreat for families who appreciate a holiday in nature. The bright, tasteful interior design and architecture of the house harmonize with its surroundings and allow you a comfortable, natural stay. The village of Romanyá de la Selva has a wide range of culture and landscape, such as “Cova d’en Daina”, a sensational dolmen of granite, built between 2700 and 2220 BC. Flights & car hire available as a supplement.